Pagure offers the possibility to add templates for ticket’s input. These templates do not enforce anything, users will have the possibility to simply ignore it, or even to not follow it, but it also helps structuring the ticket opened against a project and highlighting the information that are often requested/needed. The templates are provided in the git repository containing the meta-data for the tickets. They must be placed under a templates folder in this git repository, end with .md and as the extension suggests can be formatted as markdown. If you create a template templates/default.md, it will be shown by default when someone ask to create a new ticket. 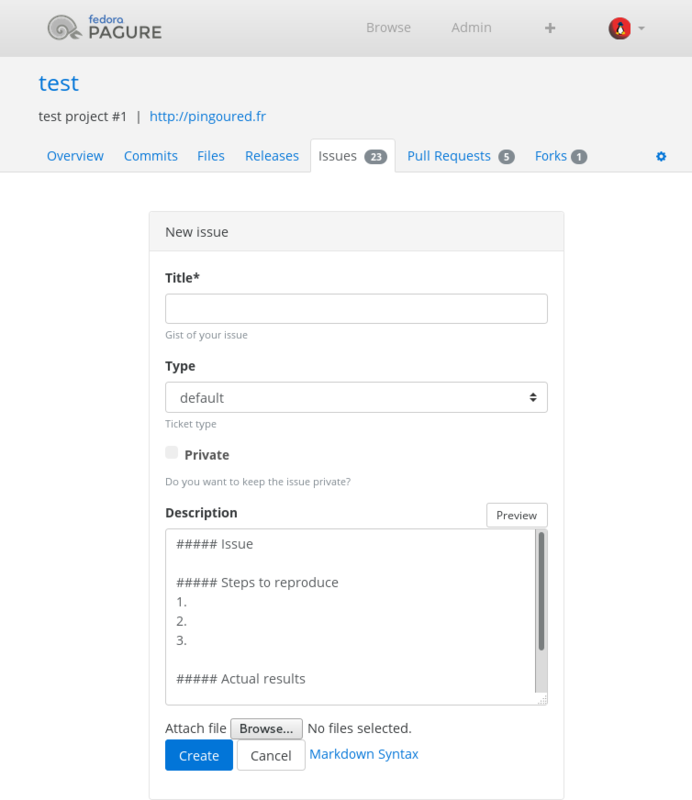 For a project named test on pagure.io. git commit -m "Add a default template for tickets"
 The URLs to the different git repositories can be found on the main page of the project, on the right-side menu, under the section Source GIT URLs. Click on more to see them if you are logged in and have access to the repository (the ticket and request git repositories require a commit access or higher).